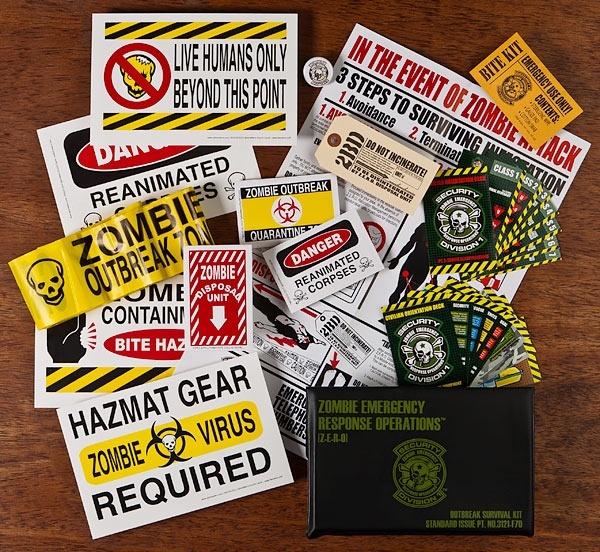 The Zombie Survival Kit contains everything you need to prepare yourself in the event of a zombie attack: signs, stickers, toe tags, a CD full of zombie goodies, and even a bite kit! 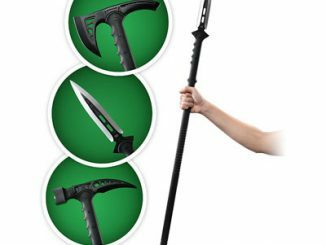 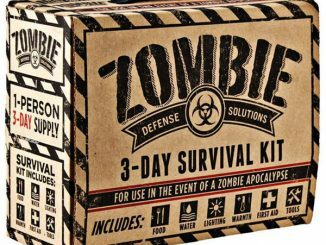 If you’re looking to survive the Zombie Apocalypse, you’ll need this kit. 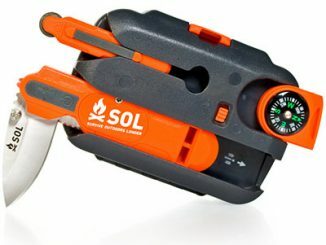 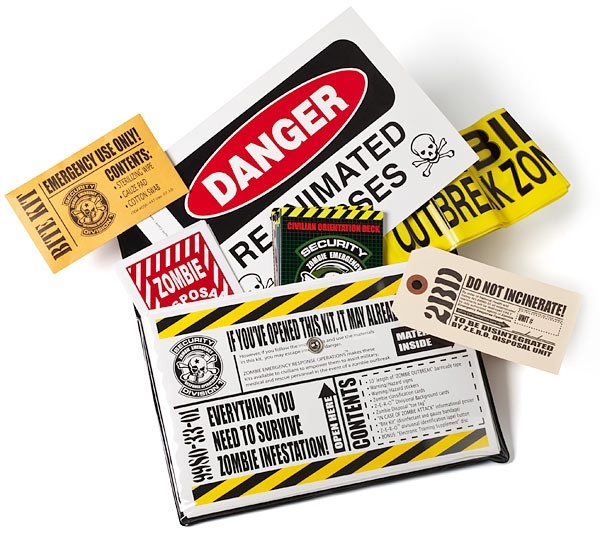 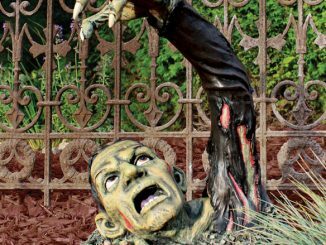 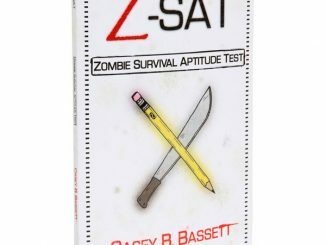 It includes dozens of useful items, including “Caution: Zombie Outbreak Zone” tape, warning signs, hazard stickers, toe tags for the bodies, a “bite kit” and much more. 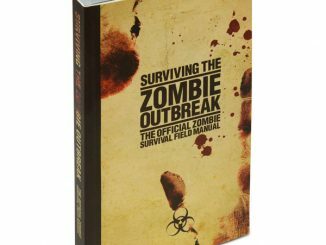 There’s even a CD-ROM with ShockWave shooters and zombie desktop themes for your computer. 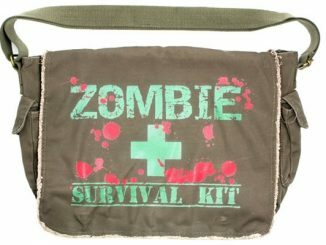 Of course, there are a few necessities you’ll have to pick up at your local pharmacy. 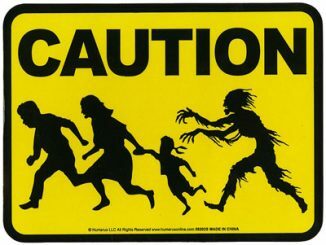 We’ll let you make a list of those since we can’t include ’em here. 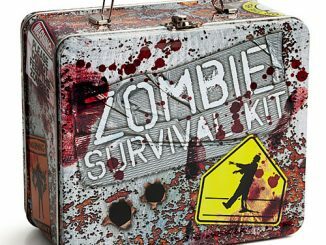 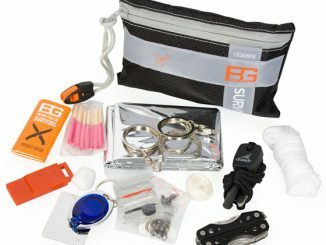 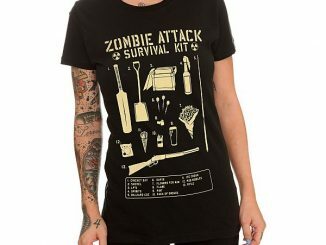 The Zombie Survival Kit is available from ThinkGeek for $24.99.